Permanent health insurance, also known as income protection insurance, is designed for this kind of scenario; it pays out a regular income if you are unable to work because of long-term sickness or disability. The policy is ‘permanent’ because it remains in force until it expires at the age you selected at the outset (usually retirement age) or you die beforehand – no matter how many times you make a claim. PHI payouts used to be capped at 75% of income as an incentive to return to work, but they are now tax-free in the initial period, and are therefore increasingly limited to a maximum 60-65% of gross salary plus any state benefit you receive. Payouts will continue until you die, return to work or start drawing a pension (or you can specify a limited payout period). Premiums are fixed according to the type of job you do: desk-bound jobs are deemed to carry the lowest risk, and heavy manual labour is considered the highest risk. Other factors influencing the premium you pay include gender (women are deemed more likely to get sick in their working life than men, and therefore insurance costs more), whether or not you smoke, and your medical history. You can reduce your premium by choosing a longer deferment period before payments kick in (typically there is a choice between waiting four, 13, 26 or 52 weeks) or limiting the payout period for each claim. 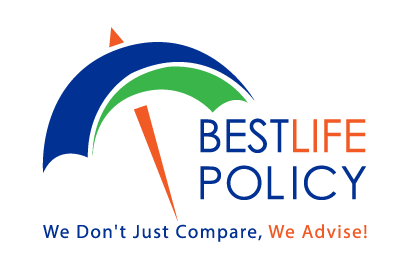 Best Life Policy can help you by fully researching the market to find the best policy for you.